(c) Time Limits. In a voluntary case, the schedules, statements, and other documents required by subdivision (b)(1), (4), (5), and (6) shall be filed with the petition or within 14 days thereafter, except as otherwise provided in subdivisions (d), (e), (f), and (h) of this rule. In an involuntary case, the schedules, statements, and other documents required by subdivision (b)(1) shall be filed by the debtor within 14 days after the entry of the order for relief. In a voluntary case, the documents required by paragraphs (A), (C), and (D) of subdivision (b)(3) shall be filed with the petition. Unless the court orders otherwise, a debtor who has filed a statement under subdivision (b)(3)(B), shall file the documents required by subdivision (b)(3)(A) within 14 days of the order for relief. In a chapter 7 case, the debtor shall file the statement required by subdivision (b)(7) within 60 days after the first date set for the meeting of creditors under §341 of the Code, and in a chapter 11 or 13 case no later than the date when the last payment was made by the debtor as required by the plan or the filing of a motion for a discharge under §1141(d)(5)(B) or §1328(b) of the Code. The court may, at any time and in its discretion, enlarge the time to file the statement required by subdivision (b)(7). 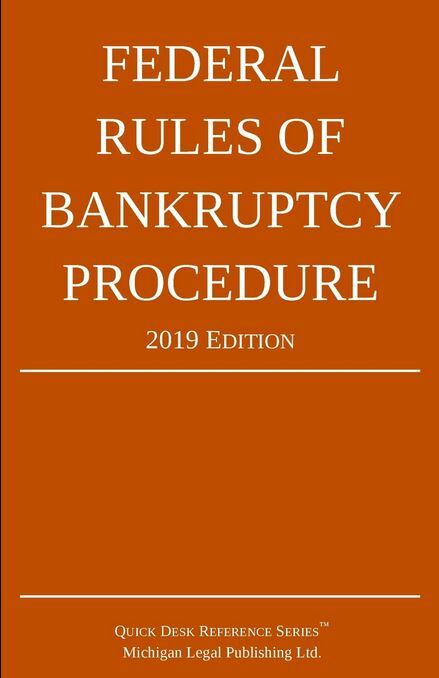 The debtor shall file the statement required by subdivision (b)(8) no earlier than the date of the last payment made under the plan or the date of the filing of a motion for a discharge under §§1141(d)(5)(B), 1228(b), or 1328(b) of the Code. Lists, schedules, statements, and other documents filed prior to the conversion of a case to another chapter shall be deemed filed in the converted case unless the court directs otherwise. Except as provided in §1116(3), any extension of time to file schedules, statements, and other documents required under this rule may be granted only on motion for cause shown and on notice to the United States trustee, any committee elected under §705 or appointed under §1102 of the Code, trustee, examiner, or other party as the court may direct. Notice of an extension shall be given to the United States trustee and to any committee, trustee, or other party as the court may direct.